BUCILLA-My 1st Stitch Mini Counted Cross Stitch Kit. 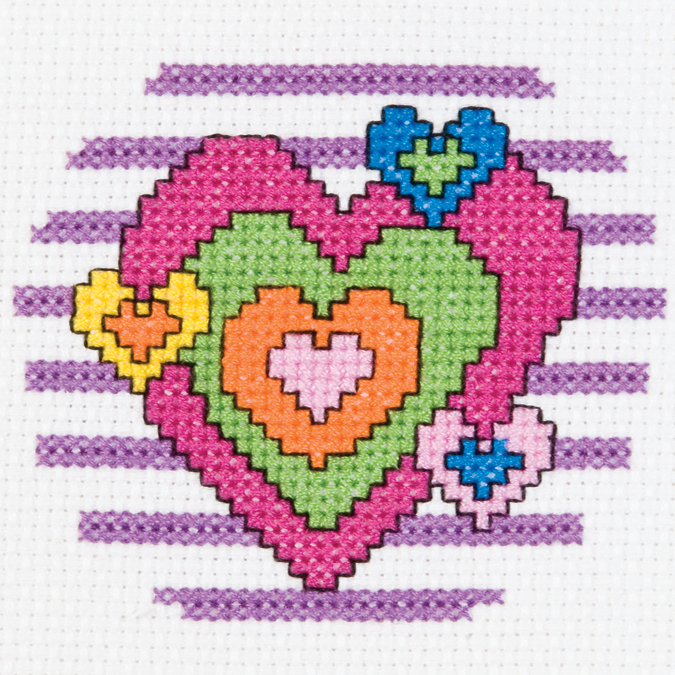 My 1st Stitch Mini Counted Cross Stitch Kits is a series of cross stitch designs that are fresh & fun mini designs. Ideal for beginners. Included are easy to learn instructions with how-to steps showing you how its done. Beginner stitchers can create a quick and easy project. Everything you need is contained in each kit kit: 14 count Aida cloth, 3in round frame, nine pre-sorted cotton floss bobbins, needle, instructions and easy to read chart. Finished size is 3in. Available in a variety of fun designs for boys and girls. Recommended for children ages 8 and up. WARNING: Choking Hazard-small parts and functional sharp objects. Not for children under 3 years. Made in USA.